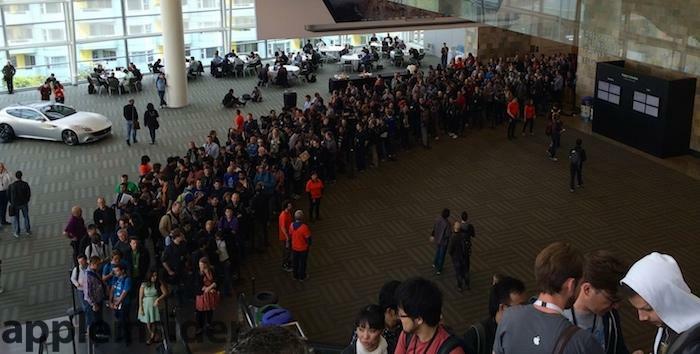 Apple's 2014 Worldwide Developer Conference started much the same way as previous years' events have, with a long line of attendees wrapped around the block waiting to hear what the company had available to show during its opening Keynote address. There were lots of surprises. 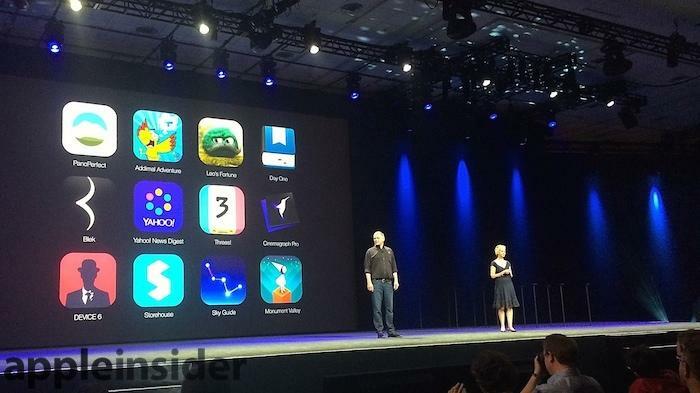 In fact, most of what Apple showed to its developers and the media came as a series of unexpected surprises, while most of the rumored "roundup" of speculation turned out to be wrong, from "Healthbook" screenshots to the rumored "iOS TextEdit and Preview" to the "removal" of Game Center and the addition of a "Control Center for OS X," an iPad "split screen UI" and a secondary iPad display feature. Virtually every significant new iOS and OS X feature that Apple unveiled and subsequently detailed on its website was a real surprise. The rumor mill also offered no inkling of the majority of Apple's big news items, ranging from Apple's entirely new "Swift" programming language to OS X Yosemite's new focus on Spotlight search; a new Widget store for Notification Center; new privacy and performance features in Safari; new Messages features; new Mail markup features; the new iCloud Drive; any hint of the new Handoff, Instant Hotspot, SMS/Phone integration between iOS and OS X that Apple collectively referred to as "Continuity"; the new iCloud Photo Library and revamped Photo apps for iOS and Mac; new Keyboard features and third party flexibility; new Family Sharing; and new enterprise features, including connectivity with third party cloud storage services. Virtually every significant new iOS and OS X feature that Apple unveiled and subsequently detailed on its website was a real surprise, while nearly every WWDC rumor ended up being wrong or significantly off the mark. Clearly, Apple's "doubling down" on secrecy has paid off. Apple's secrecy--and the company's productivity over the last year--were warmly received by the throngs of thousands of developers visiting from 69 different countries, who applauded not only throughout the initial Keynote address, but also during the State of the Union, where Apple further unveiled a series of other developments that continue to remain confidential. In fact, the only thing that seemed to quell developers' WWDC excitement had to be the marginally dismal lunch provided by Moscone Center's caterer. Even so, despite the variety of new food options that have opened in close proximity to the convention venue, attendees filled out the enormous food hall (above), with an apparent majority using the lunch break to also work from their laptops. After lunch, developers again queued up (above) to attend the State of the Union briefing (below), which continued longer than scheduled. However, nobody seemed to be complaining as Apple's representatives revealed more about the company's Mac and iOS initiatives and technologies. Instead, there was lots of additional applause in response to a variety of new announcements, including plenty of excited whoops of excitement that came from specific individuals at the revelation of certain features that appeared to address specific issues they had been wrestling with in particular. After the State of the Union, it appeared that most developers elected to also stay for the Apple Design Awards, where a series of student and professional developers were awarded prizes for exceptional work on creative and technically noteworthy apps and games for both the Mac and iOS platforms. Today, WWDC will begin the first of the weeks' roughly 100 technical sessions and 120 lab sessions, where the 5,000 attending developers can get face time with the over 1,000 engineers Apple has on hand to help answer questions and solve issues.